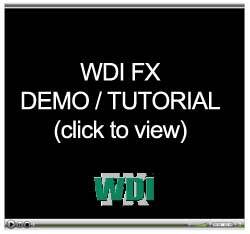 The following forms are included in the WDI FX Inspection module. Alabama Wood Destorying Organism Inspection Report, published by Alabama Department of Agriculture and Industries. Arizona Wood Destroying Insect Inspection Report (WDIIR), published by the Arizona Structural Pest Control Commission. 43M-41, California Wood Destroying Pests and Organisms Inspection Report, published by the California Structural Pest Control Board. 43M-44, California Standard Notice of Work Completed and Not Completed, published by the California Structural Pest Control Board. FL DACS 13645 Form, Florida Wood-Destroying Organisms Inspection Report published by the Florida Department of Agriculture & Consumer Services. Georgia Wood Infestation Inspection Report, published by the Georgia Structural Pest Control Commission. Georgia Structural Pest Control Commission Exception Form II, published by the Georgia Structural Pest Control Commission. (PC-9), Hawaii Termite Inspection Report, published by the Hawaii Department of Commerce & Consumer Affairs. LA LPCA-143 Form, Louisiana Wood Destroying Insect Report approved by the Louisiana Structural Pest Control Commission. MD-1 Form, Maryland Wood Destroying Insect Information for Existing Construction, published by the Maryland Department of Agriculture. Mississippi Wood Destroying Insect Report, published by the Mississippi Pest Control Advisory Council. Nevada Wood-Destroying Pest Inspection Report published by the Nevada Department of Agriculture. NOTE: You must still buy the paper forms to obtain serial numbers and send copies into the state. NC WDIR 100 Form, North Carolina Wood-Destroying Insect Information Report published by the North Carolina Department of Agriculture and Consumer Services. ODAFF-1 Form, Oklahoma Official Termite and Wood Destroying Organisms Report published by the Oklahoma Department of Agriculture, Food, and Forestry. SC CL-100 Form, South Carolina Wood Infestation Report published by the South Carolina Pest Control Association. TX T4 Form, Texas Official Wood Destroying Insect Report, published by the Texas Structural Pest Control Board. WSPCA Form, Washington Official Wood Destroying Insect Report, published by the Washington Structural Pest Control Board. "We have been using the WDI FX pest control software system since 1997 and have now completed over 80,000 on-site termite inspections! Thanks to WDI FX we have been able to improve our professional image and capture a huge percentage of the termite inspections performed in our market. 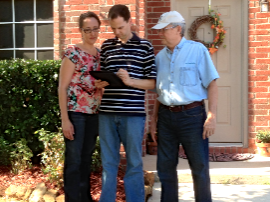 Realtors often recommend us because they know we can deliver our reports right at the inspection site. Thanks again for developing such great pest software!"